Trademark filings for Lab 126 were recently made on August 16. Now we have further evidence that Amazon will release a color screen Android tablet soon. GeekWire discovered filings for design and development of computer hardware and software this past weekend. We have previously reported about Amazon’s Coyote and/or Hollywood tablets but now it seams to get serious. Previously in July the Wall Street Journal reported that we may see a tablet from Amazon by the first of November. Interestingly Lab 126 was started in 2006 so it is somewhat of a surprise that trademarks for the name and logo are going on currently. More telling information can be garnered from the Lab 126 website. 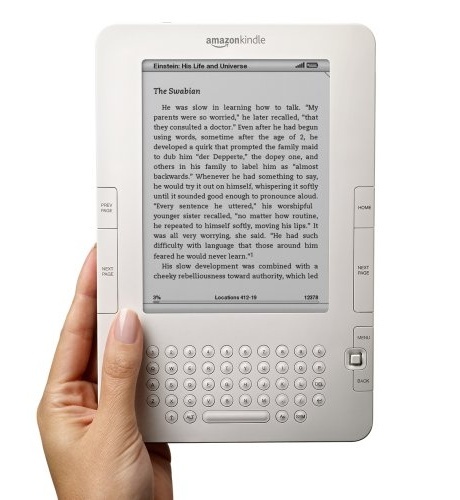 There you can see the development of the Kindle design titled “the next revolution”. We may be seeing an improved version of touchscreen Kindle but it is difficult to know for certain at this point. Amazon’s tablet will not be equipped with a camera so it will likely have a difficult time competing with iPad. Despite lacking a camera Amazon will attempt to give its tablet a unique look with equally unique features. It is believed that Amazon will focus their efforts on its e-commerce platform, cloud computing infrastructure, and movies and television programs. Without sporting a camera Amazon’s tablet may fetch for as little as $250 which will be great for bargain hunters this Christmas.